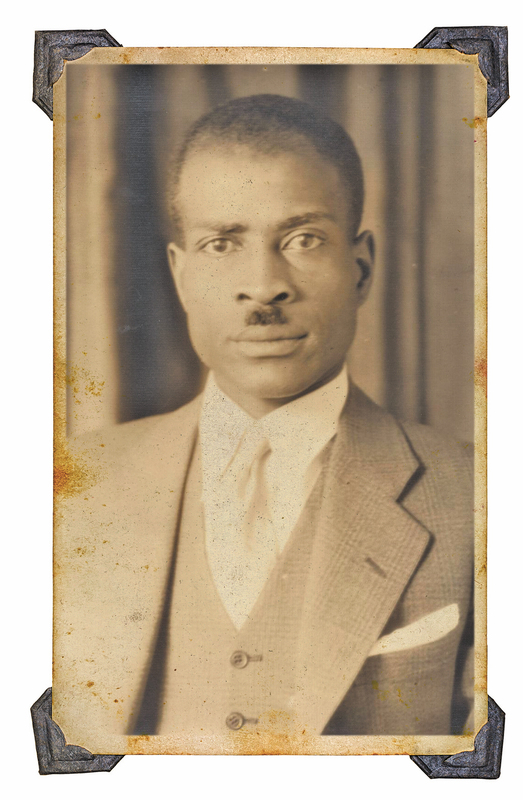 When Dr. Harvey Middleton — the first Black cardiologist to practice in Indiana — moved to Indianapolis in the 1930s, he wanted to put his medical degree to good use. He practiced briefly in Tennessee and Anderson, Indiana, but wanted to make a larger impact. After being continuously denied positions for which he applied, Middleton started his own practice. That’s when one hospital began to take note. City Hospital (now known as Eskenazi Health) decided to take a chance on him as a volunteer. Middleton spent his Saturdays working at the hospital’s outpatient heart clinic. Due to his great work as a volunteer, he was accepted as a full-time member of the City Hospital staff in 1942 and worked there until 1978. 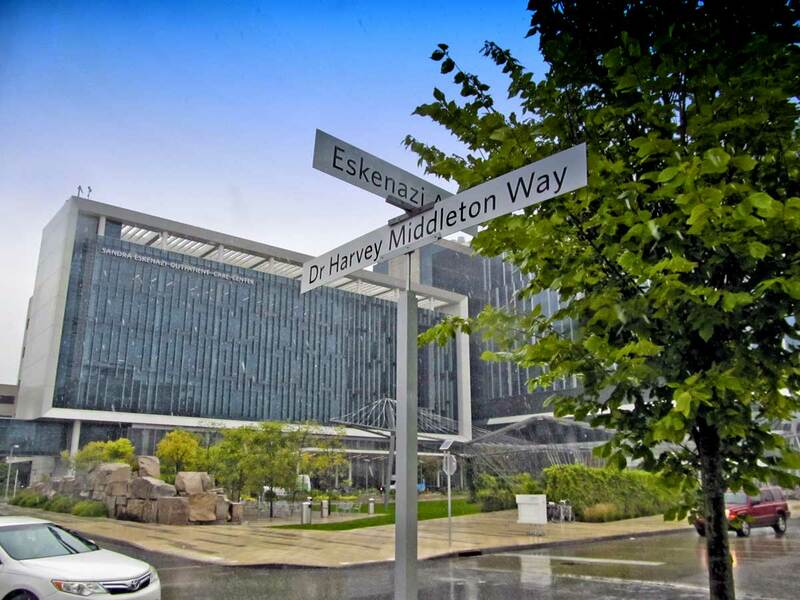 When the new Sidney & Lois Eskenazi Hospital opened in 2013, leaders wanted to recognize Middleton, so they named a street leading up to the facility after him. “We wanted to honor him for how greatly we benefitted from his expertise,” Hicks says. In a time period where segregation was common, even in a northern city like Indianapolis, Eskenzai Health knew the importance of having a Black doctor on staff to serve their growing Black population. That model of inclusion continues today, but not just within Eskenzai Health’s walls. Across the country, companies are having conversations about diversity, inclusion and equity. Business leaders are assessing their current workforce and employees are making it known that they want to be better represented and heard in the office. The U.S. Census Bureau predicts that by the 2044, the country will be majority-minority. Births of color are already outpacing white births making preschools and kindergarten classes some of the most diverse the country has ever seen. But diversity doesn’t just include race; it’s also defined as a person’s socioeconomic status, sexual orientation, country of origin and physical abilities. The case for a more diverse workplace has been made time and time again. A 2014 study conducted by Columbia University professor Katherine Phillips states diversity and inclusion “makes us more creative, more diligent and harder working” which, in turn, can lead to positive results for a company’s bottom line and decrease turnover. A report from McKinsey & Company shows the top racially diverse tech companies are 35 percent more likely to have financial returns higher than the national median. Additionally, companies with greater gender diversity are 15 percent more likely to outperform others. Companies who rank at the bottom for both gender and racial diversity are statistically less likely to achieve above-average financial returns. Organizations across Indiana have made it their purpose to be a haven where citizens new and old can find their place in the community. The Immigrant Welcome Center has one goal for all immigrants moving to the state’s capitol: to make them feel at home. Established in 2006, the center helps immigrants who are new to the area get connected to people, jobs and other services to make their transition a bit easier. All of their services are free for any immigrant in need, this includes translation services and transportation upon initial arrival. The center also works with local volunteers at seven different branch locations so that families who have just moved to the area can visit a center that best fits their location needs. HOLA was formed in 2002 in response to a need within the rapidly expanding Latino community in Evansville. Initially, HOLA was a bridge between Latinos and other organizations and services available in the community. In 2007, the organization earned its 501(c)3 status and developed a strategic plan and mission statement that promoted inclusion of Latinos in the community. Since then, the organization has partnered with Nativity Catholic Church to launch a community center, develop health education programs and clinics as well as their very own HOLA summer camp. Since its founding in 1998, the International House of Fort Wayne has impacted more than 4,000 refugees. The nonprofit, nondenominational Christian organization was created to help refugees seeking asylum to get the support they need. International House offers citizenship classes for those who want guidance through the lengthy citizenship process, homework and tutoring for children needing a little extra help and they offer English classes for those looking to learn the language. Additionally, the organization matches the people they serve with volunteers to serve as familiar faces in the community. Still, conversations about these topics are often fraught and can lead to conflict within an organization, but that doesn’t mean businesses should stop pressing forward. For company leaders looking to beef up their diversity and inclusion efforts. Here are a few examples of what can be done. Kelli McMiller, strategic engagement leader and vice president of consulting for The Kaleidoscope Group, a full-service diversity and inclusion agency in Chicago, says buy-in from board members, senior leadership, middle management and employees is key. McMiller goes on to say there has to be an understanding that diversity and inclusion must be part of everything a company does. So, if a company just increases recruitment efforts and hires more women or people of color, but doesn’t then think about and work to retain these new employees, they probably won’t last. A common misconception is that employees don’t want to share their difficult experiences with leadership or other employees, but this isn’t inherently true. McMiller suggests conducting a survey or hosting a listening session to gauge what feelings around the topic of diversity and inclusion already exist. She says surveys, focus groups and other forms of engagement are all good ways to assess the needs of the current workforce and what can be done about them. She also stresses that leadership should talk to the entire company, not just communities who are minorities at the company. All businesses look at the bottom line. McMiller knows this and that’s why she says diversity and inclusion shouldn’t be an add-on effort that a company periodically makes time for. Instead, it should be one of the main topics when companies are discussing strategy and growth. “Diversity and inclusion leads to innovation,” she says. In Indiana, many organizations have answered corporate America’s call for a more diverse and inclusive workforce. Here’s what a few notable Indianapolis companies are doing. Having a diverse workforce is one thing, but to retain those diverse candidates, they have to be included and see themselves reflected in other parts of the company, especially in upper management. In a 2017 Deloitte study on inclusion, 80 percent of respondents said inclusion is important when choosing an employer. Many businesses show they’re committed to inclusion by establishing a set of affinity groups, or a group formed around a shared interest, goal or some other commonality. For companies, this can mean groups for African-Americans, immigrants and members of the LGBTQ community where individuals who identify with these groups can meet regularly and get to know one another while also discussing what is and isn’t working at their organization. Over the years, it’s been questioned whether affinity groups do more to separate than unite. Mekaelia Davis, social impact strategist for Quartz, writes that instead of getting rid of affinity groups, businesses should look to make them more intersectional so members from a particular background and individuals who want to be allies can work side by side. “This intersectionality can create opportunities for employers, but it requires cross-functional, meaningful opportunities for employees to engage in problem solving that acknowledges the multiple identities they hold,” she says. Here are some organizations that take an intersectional approach to their affinity groups. Although the Office of Inclusion and Equity was started a little more than year ago, Vice President of the division Sean Huddleston had his sights set on bringing affinity groups to the campus as a way for faculty and staff to better communicate amongst one another. Salesforce is the world’s number one customer relationship management platform with offices across the country, including one in downtown Indianapolis. To ensure their employees’ voices are being heard, they created Ohana Groups, or, affinity groups created for individuals and allies. Currently, there are 10 groups which range from Outforce, the company’s group for LGBTQ members and allies to BOLDForce, which supports African-Americans at the company. Leaders encourage employees to not only think of ways Salesforce can be more inclusive internally, but externally as well. That’s why groups like Outforce have participated in community events like Indy Pride. Eli Lily doesn’t just believe their employee resource groups are good for the people they employ, they also believe it’s crucial to providing the best support for their customers. “We will not survive another 141 years if we don’t leverage all of our talent across the globe. People are the greatest asset in any business: This is why diversity and inclusion are key to Lilly’s success,” Chief Diversity Officer Joy Fitzgerald says on Lilly’s website. The 142-year-old organization has 11 resource groups, including ones that support veterans and young professionals. Since bringing Harvey Middleton on as a full-time physician, Eskenazi Health has continued efforts of inclusion. Most notable is the hospital’s Initiative for Empowerment and Economic Independence (IEEI) program. Created in 2013, this program partners with students at Ball State University by giving them a paid internship in their discipline of choice. The IEEI program specifically works with students with physical disabilities in order to give them an edge when they enter the workforce. 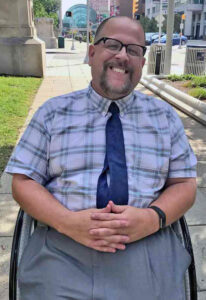 Larry Markle, director of Disability Services at Ball State, says research shows students with physical disabilities are graduating at the same rate as their peers, however, they are not being offered jobs at the same rate. 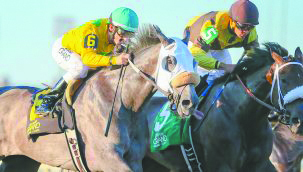 The program seeks to close this gap. The program was also created to shift attitudes and culture in the workplace. The hospital not only wants the program to provide experience to the students they employee, but also to their full-time employees and volunteers who may have misconceptions about supervising or working with a person with disabilities. Beyond the IEEI program, Hicks says Eskenazi Health makes sure diversity and inclusion stays top of mind for employees by embedding it in everything the hospital does. “As a hospital system we want to have staff that represent the community that we serve,” she says. “This allows [us] to have a rapport and consecutiveness with [our] patients so they are more comfortable. A patient may be unwilling to share info if they don’t feel connected to you.” This includes providing translators for patients who prefer discussing their diagnosis in a different language. The hospital system also launched affinity groups in 2014 in order to provide a safe space for employees who are part of a minority group. Additionally, Hicks closely monitors the company’s diversity numbers and the retention of diverse employees, she reports these numbers to the board regularly. Two years ago, the company conducted a cultural climate assessment to get employee feedback on how they felt about the working environment of the hospital system. This has allowed leadership to better understand what employees want to see within the system as it relates to diversity and inclusion. Most importantly, Hicks says everyone at the company has an understanding that a commitment to this work is what makes the work they do with patients stronger. Although Salesforce is a customer relationship management platform, they believe the business of business is to make the world a better place. Beyond their Ohana Groups and moves for inclusion internally, Salesforce invested $500,000 last spring to support the establishment of the new IT Academy at George Washington High School and their college and career programming for Indianapolis Public Schools. These are just a few reasons they’ve been recognized as Champions of Diversity in the past. When the office of Inclusion and Excellence started in June 2017, Vice President Sean Huddleston wanted to hit the ground running. A seasoned veteran in this type of work, Huddleston has previously served as the chief officer of Diversity, Inclusion and Community Engagement at Framingham State University in Massachusetts and as assistant vice president for strategic implementation for the Division of Inclusion of Equity at his alma mater, Grand Valley State University. He entered his position at the University of Indianapolis knowing he didn’t want his office to own the conversation of diversity. “We have a saying that: ‘The office doesn’t own inclusion and equity. We franchise it so anyone can own it,’” he says. The staff is intentionally small in order to empower other departments to make changes that will better serve the diverse campus without solely relying on the Office of Inclusion and Excellence. The university has always been committed to inclusion and equity, but was operating in decentralized model for many years before the Office of Inclusion and Equity was established to amplify efforts and created a wholistic university-wide strategy and culture. In the year and a half since Huddleston started at UIndy, a few large changes have already been made. Students, faculty and staff now have a way to report bias incidents they either experience or witness while on campus. When conversations of this new process began, there was pushback. “Some may assume that by having a process, you’re inviting those biases, but really it gives people an opportunity to report what has always been happening,” Huddleston explains. The university is also using data to understand where blind spots may be and what groups of people need more attention. The division looks at gaps in retention rates, graduation rates, employee retention and diversity of their employee base. Huddleston says equity is the ultimate goal for the campus. Despite the pushback, difficult conversations and change that comes with shifting a business to be more diverse and inclusive, the benefits often outweigh the difficulties. However, it’s not an overnight shift. Hicks, Huddleston and McMiller all agree companies looking to make changes should begin tracking progress immediately and look at the differences over time. Even high employee retention rates lead to money saved for the business. Regardless of where businesses are with their diversity and inclusion efforts, Cathy Engelbert, CEO of Deloitte — a company often lauded for its diversity efforts — says company leaders and employees have to keep pushing for the workforce they want to see, and oftentimes, that vision of a more inclusive workplace is built each day.